Bringing someone new into your home is never an easy task, but with more and more parents working full time nowadays its almost inevitable to hire a nanny. Allowing someone new to watch over or babysit your children may be difficult but ensuring that you’re hiring an experienced nanny is a must-do no matter how long it may take. Whether the position is for a part-time nanny or a full-time nanny, there should be no unwanted mishaps that occur in your household while you’re away – especially if you don’t have any other family members to check in every now and then. And while you may have a good hunch about someone, making sure she has the right qualifications and capabilities to watch over your child every day needs to be justified. Because every parent fears getting that one phone call saying that something has gone wrong. Accidents can happen with anyone and if you choose to hire from a nanny agency - you need to make sure you’re asking the right questions because they might be vital to your child’s growth, development and safety. And because of this, some parents have a tendency to grill the prospected nanny with lots of questions that don't do any good – The following is a list of appropriate and important questions to ask any nanny that will help you make a decision. Remember this: experience is everything when it comes to childcare – hiring a nanny with some background knowledge on how to deal with children is an unspoken must. Experiences add a much-needed foundation to the nanny-child relationship. A knowledgeable nanny will know how to enforce your discipline on your child, to ensure the child is safe at home or outside and how to properly deal with tantrums, accidents and more. That’s why this simple question makes the top of the list because of the weight it should hold in your decision-making process. What age groups have you cared for? Knowing the age group experience your nanny is specialized in will help you determine whether or not she can be an appropriate fit. Having someone who has dealt with teenagers, may not have the right knowledge in dealing with toddlers for example. This will also add to how your nanny will care for your children by constantly improving ways to entertain them whilst you’re at work, how to make sure they’re eating properly, maintaining hygiene etc. You might this is a trivial question to ask but it can, at times, be helpful if your child is bi/tri-lingual. If your child has not yet fully grasp a certain language, having an option to use another one simultaneously can be beneficial. 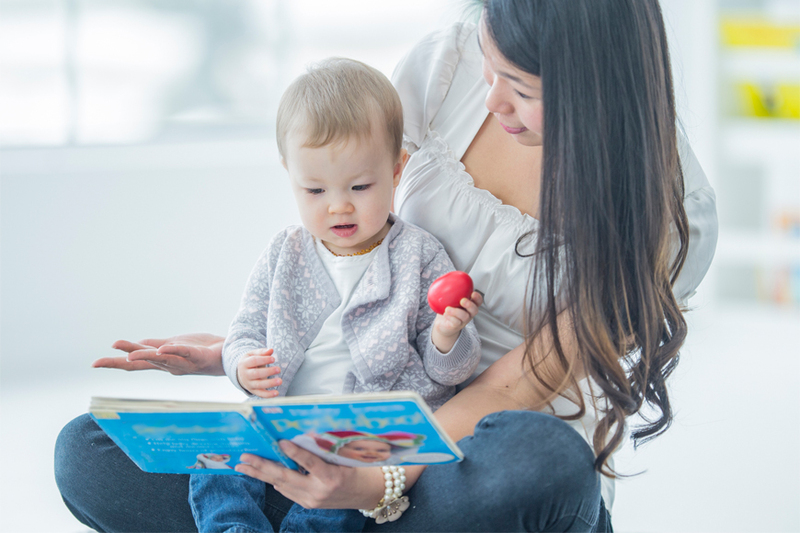 Not to mention that your child can act as a word-absorbing sponge, which means they may pick up words and phrases that your nanny may have used while communicating with others. Every family has a specific routine discipline or, at times, none at all – learning about the nanny’s past routine with the previous family will teach you about her capabilities and limits. This will show you if she can structure her daily tasks (chores, laundry, cooking…) while watching over your child. It’s also important to note the timings that she is used to working within – sometimes nannies only watch over your child until you get home and then call it a night. This entirely depends on how you want to structure her work timings and the daily routine of responsibilities that she will or won’t look after in your house. While asking her questions is important, it’s also recommended to ask her to share some things about herself freely – this way you’ll be able to get a sense of her personality. Don’t forget to speak about your family too! The nanny also needs to get a sense of who your family is and what the job entails.